WOLVES AND ROSES is the new young adult shifter fairy tale by best-selling author Christina Bauer which “blends magical fantasy, swooning romance, and a bucketful of teenage sass” (Booklist) and is “a fun romp for Twilight fans” (School Library Journal). And now they’re having a bookstore tour where you can get your copy of WOLVES AND ROSES signed, meet characters from the novel, and even take home a swag bag full of goodies… including a themed t-shirt! Bottom line? You don’t want to miss the WOLVES AND ROSES book launch tour. 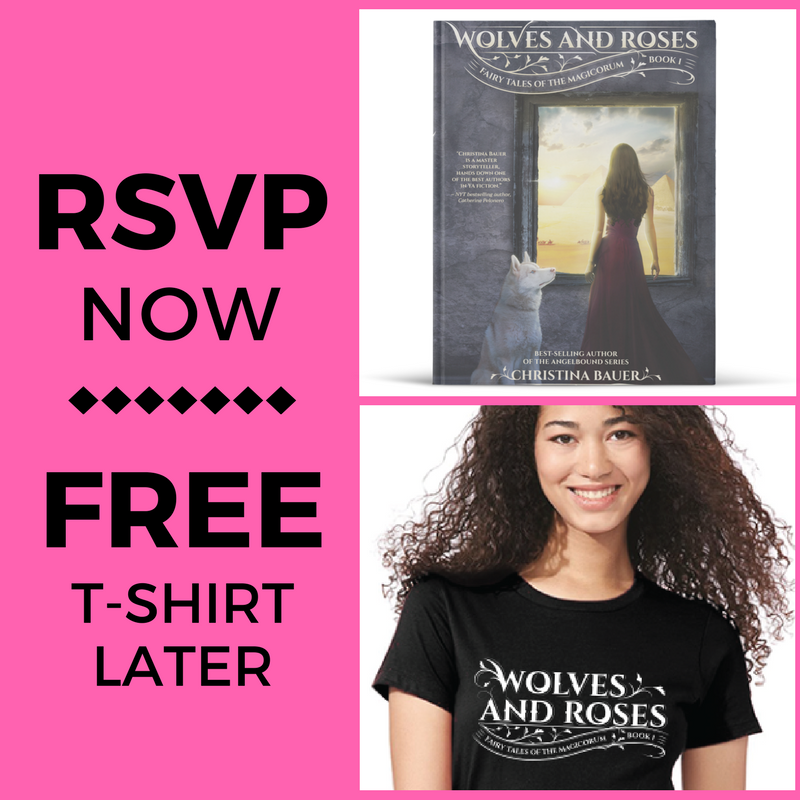 Be sure to RSVP today and arrive early to the event (links down below) — there’s only a limited amount of swag bags given out on a first-come, first served basis to folks who purchase a new copy of WOLVES AND ROSES.